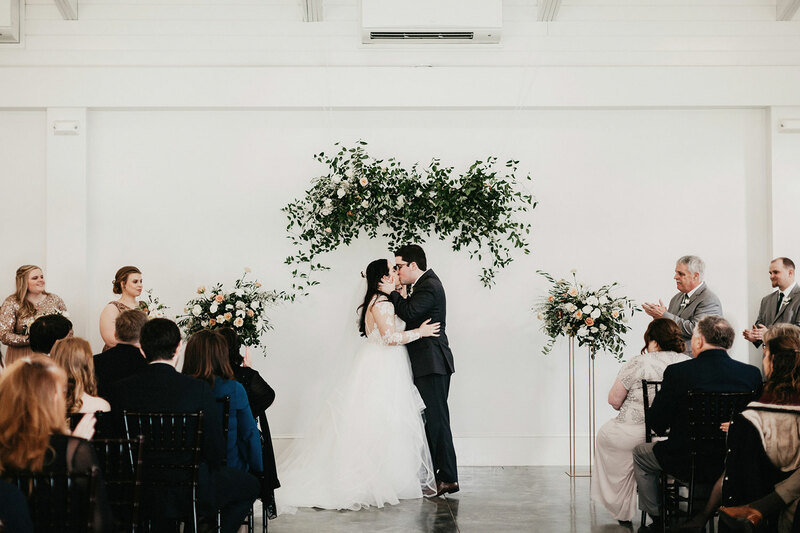 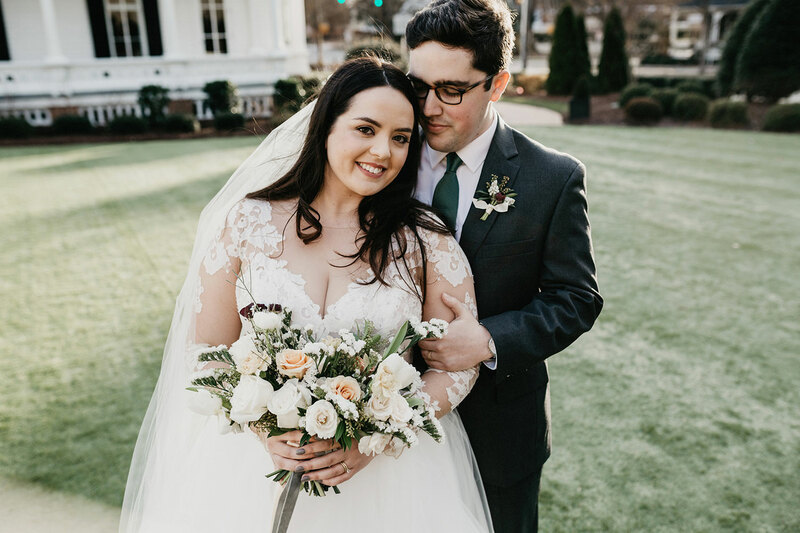 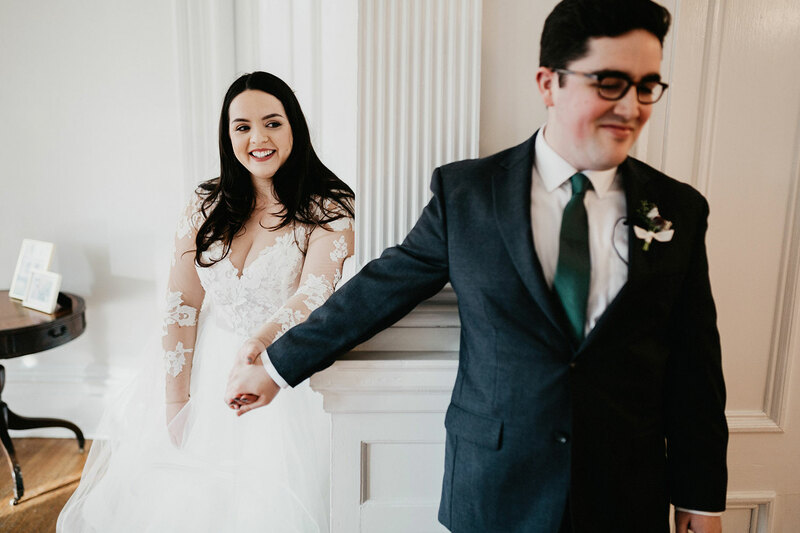 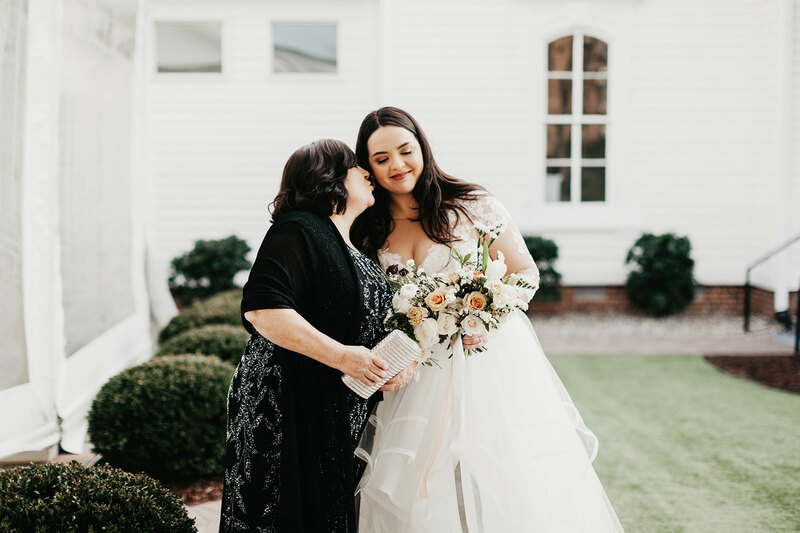 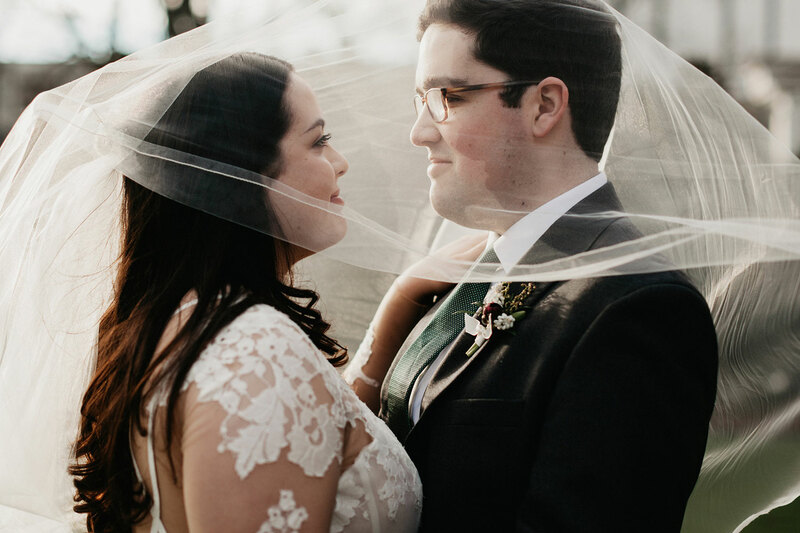 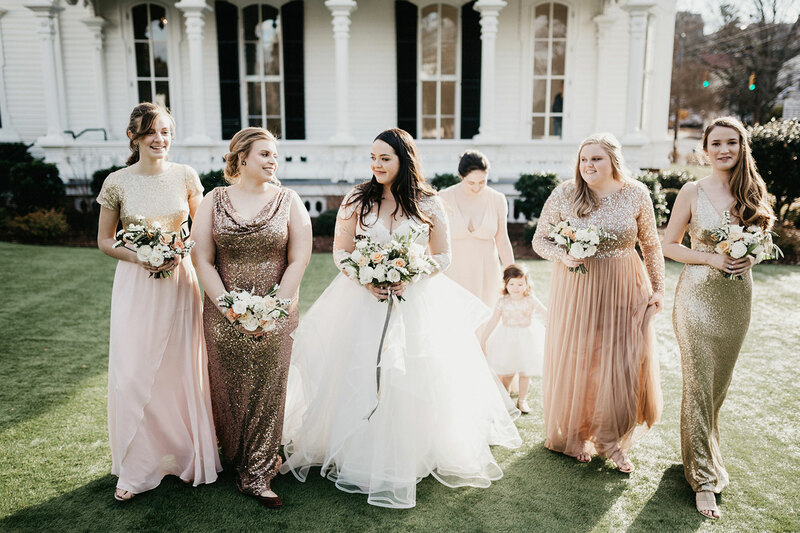 It is rare that we get an inquiry for a mid-January wedding, but after Grace & Matt’s wedding day we’re wondering, “Why not?” We are lucky to have such mild winters here in Raleigh, but the Merrimon Wynne House’s charm truly transcends weather & season. 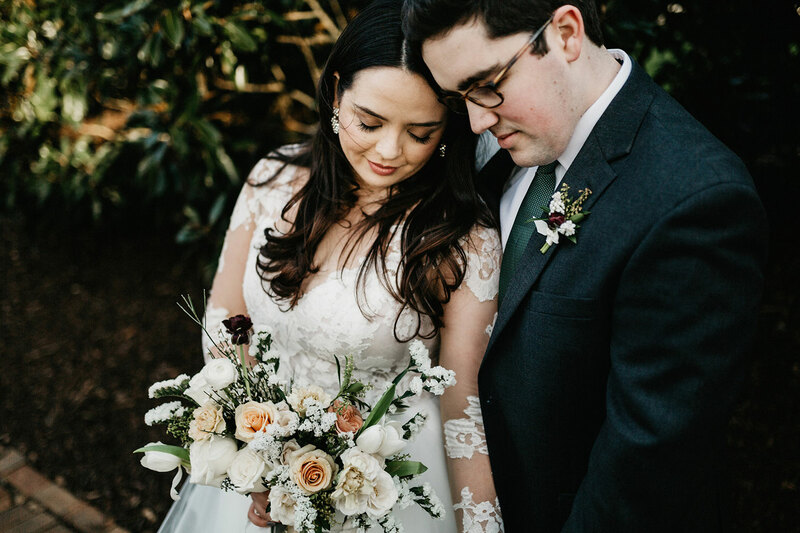 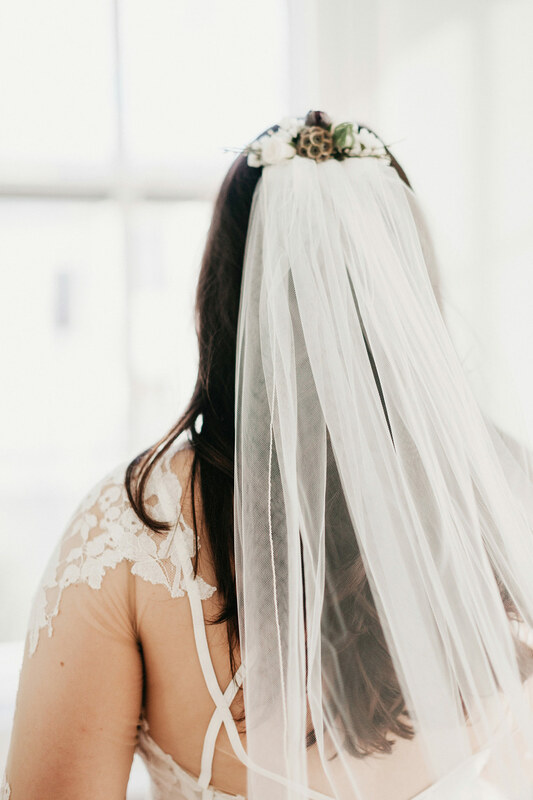 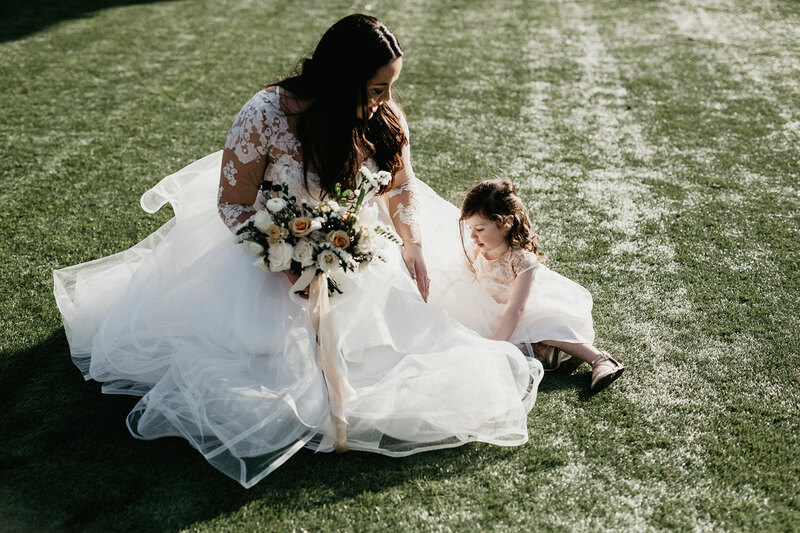 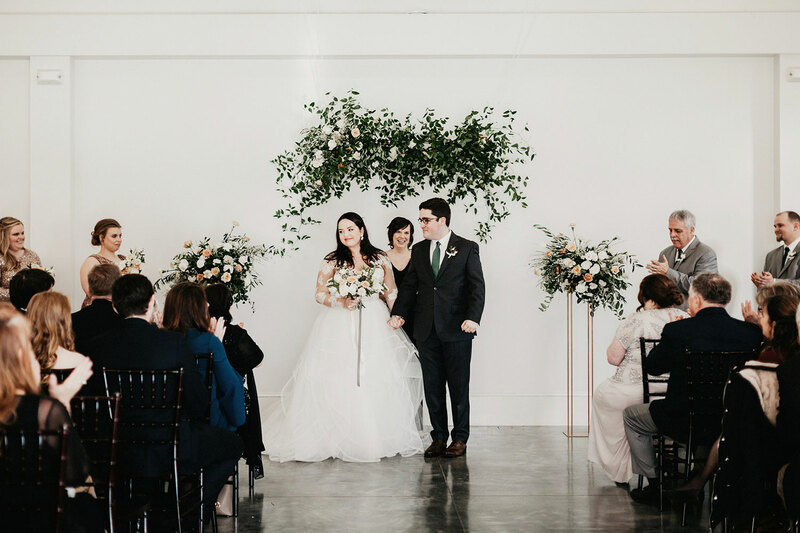 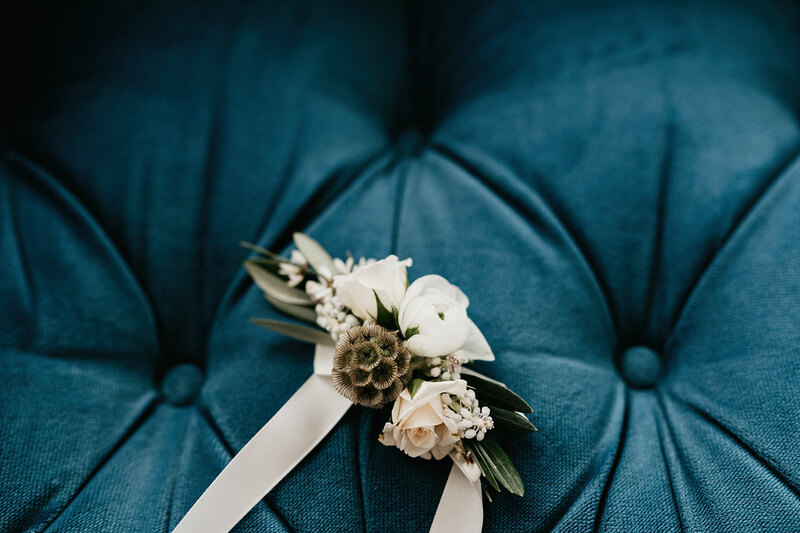 Grace and Matt have a timeless, classic style, and were totally open-minded about their wedding florals. 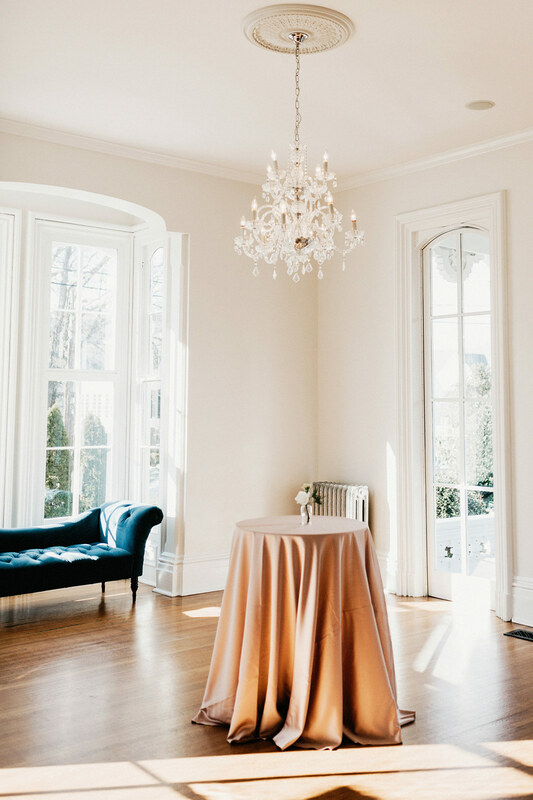 This kind of openness inspires us to do some of our best work, and is also very helpful in January when available materials are somewhat limited. 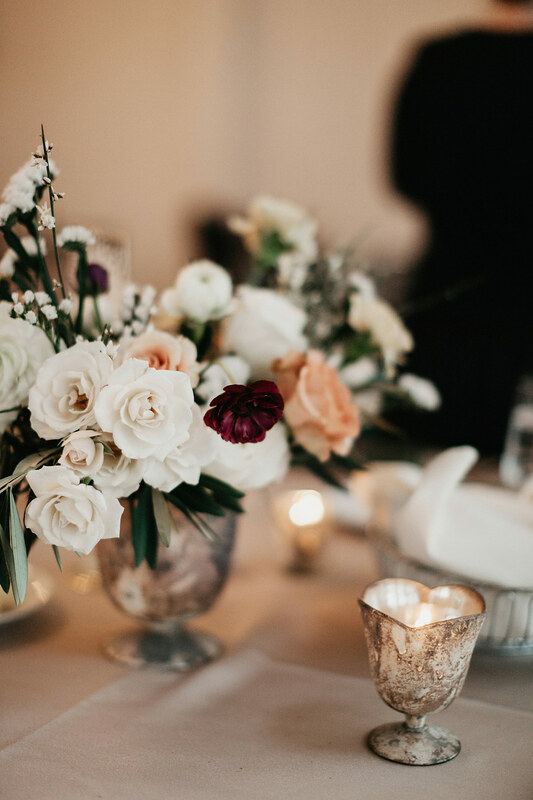 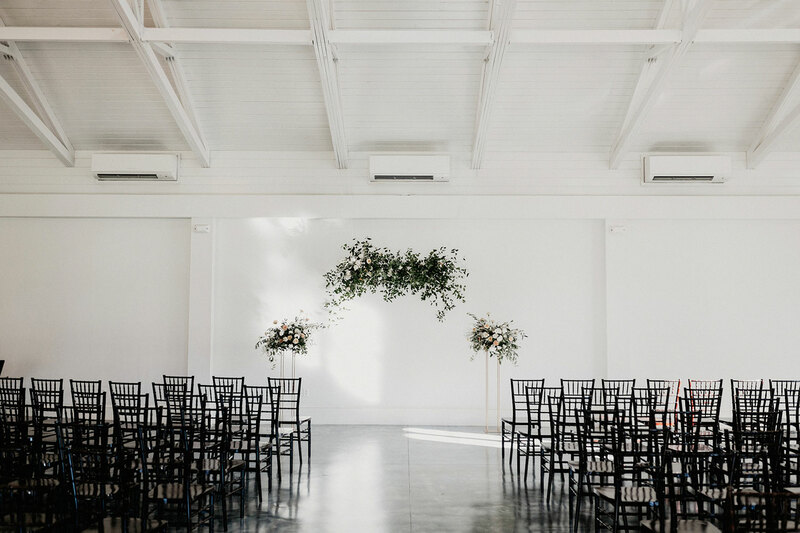 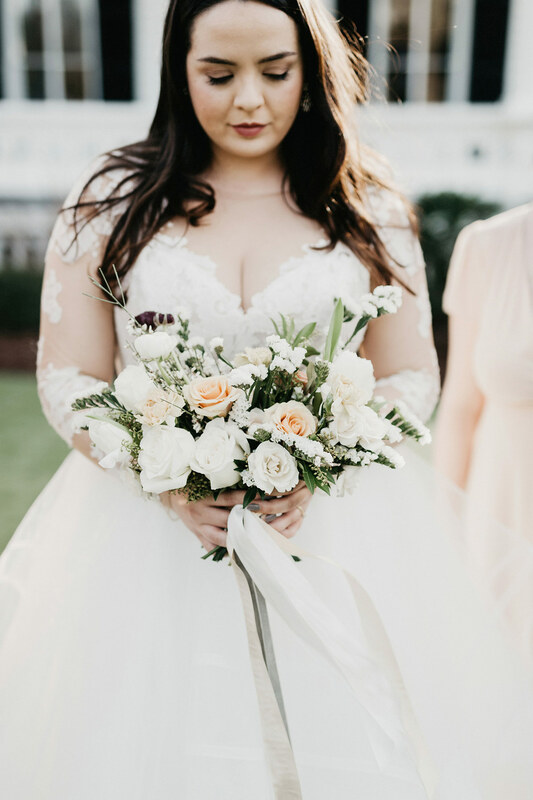 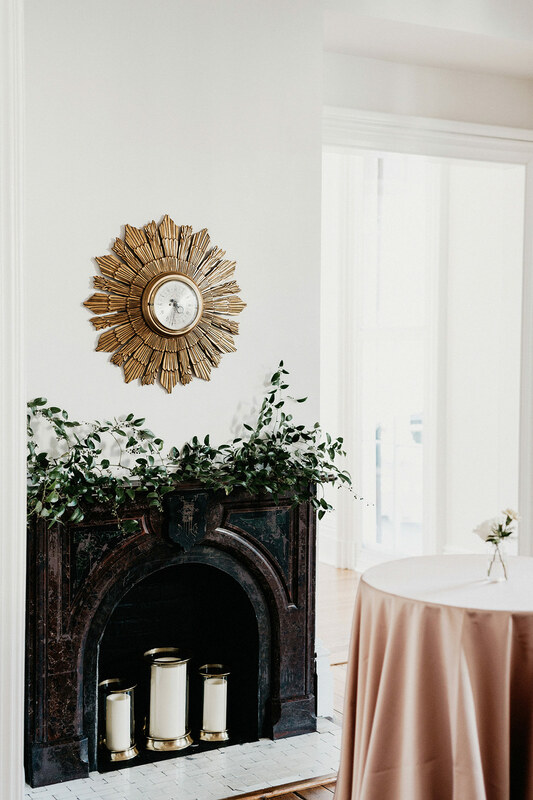 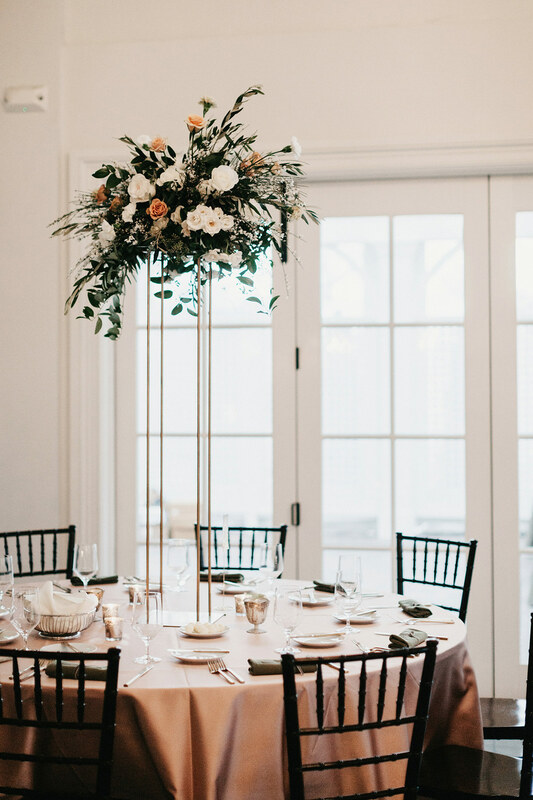 We enjoyed having the space to create romantic, elegant florals that felt right at home in mid-winter with lots of textural whites, a hint of peach, and almost-black-burgundies. 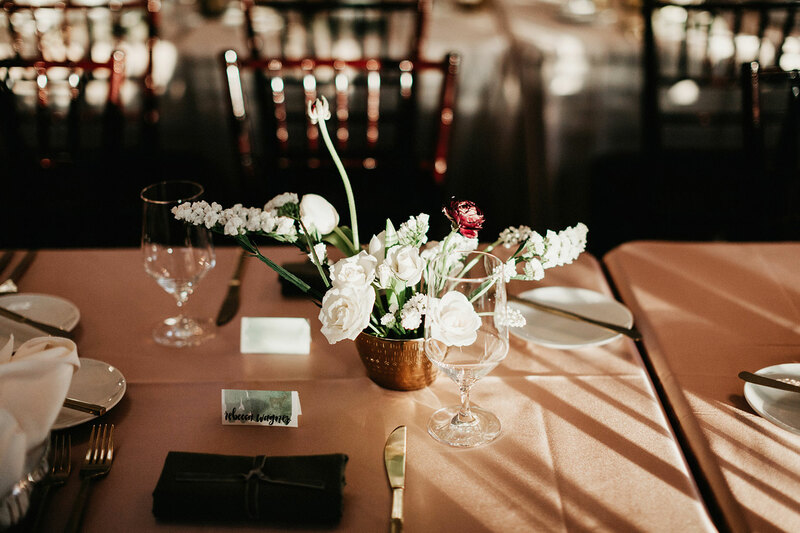 The seated dinner contained lots of thoughtful, seasonally fitting materials like brass and marble for the tablescapes, with playfully airy Ikebana style arrangements along with more classic, larger styles. 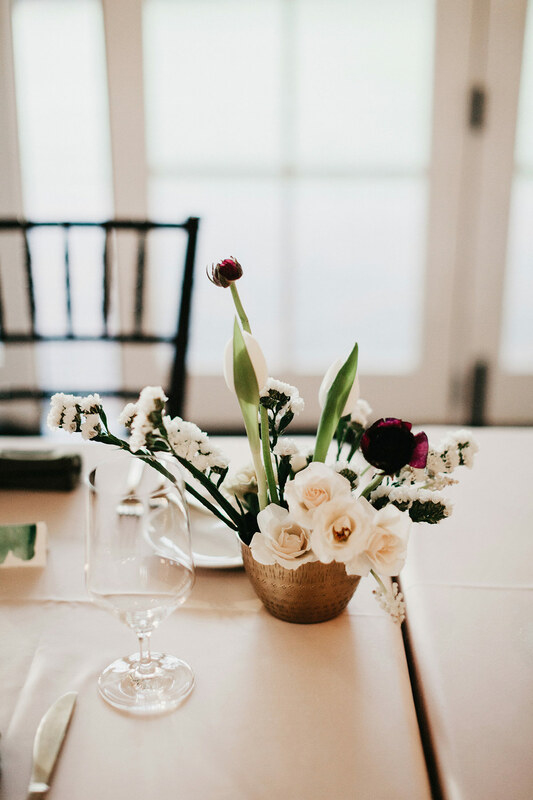 We’re looking forward to more mid-winter requests!